"Nobody goes there anymore…it's too crowded." 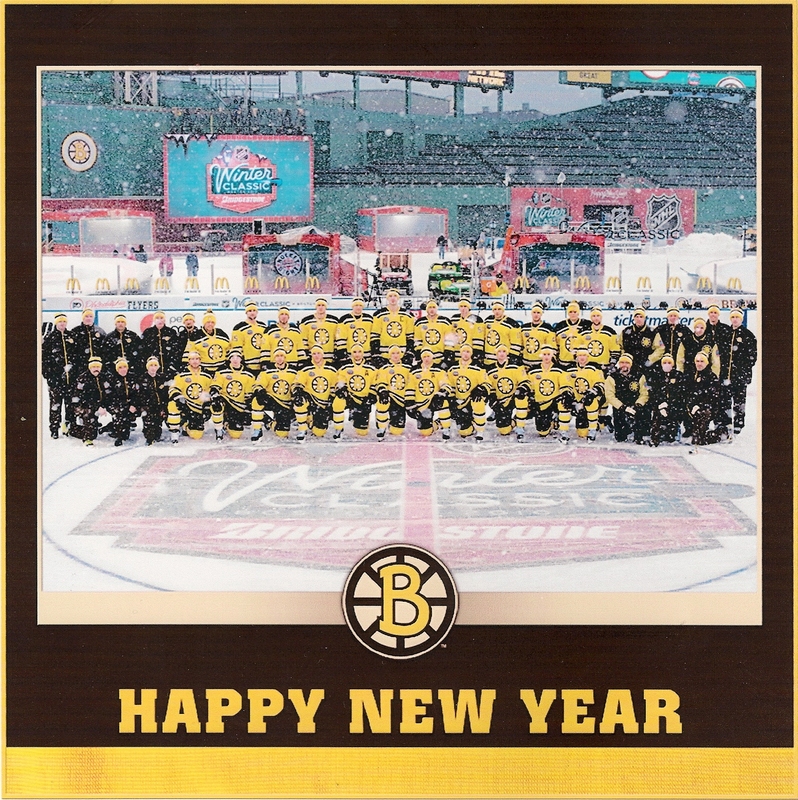 It was January 1, 2010 in Boston – but to a Boston Bruins fan, it felt more like 1972. 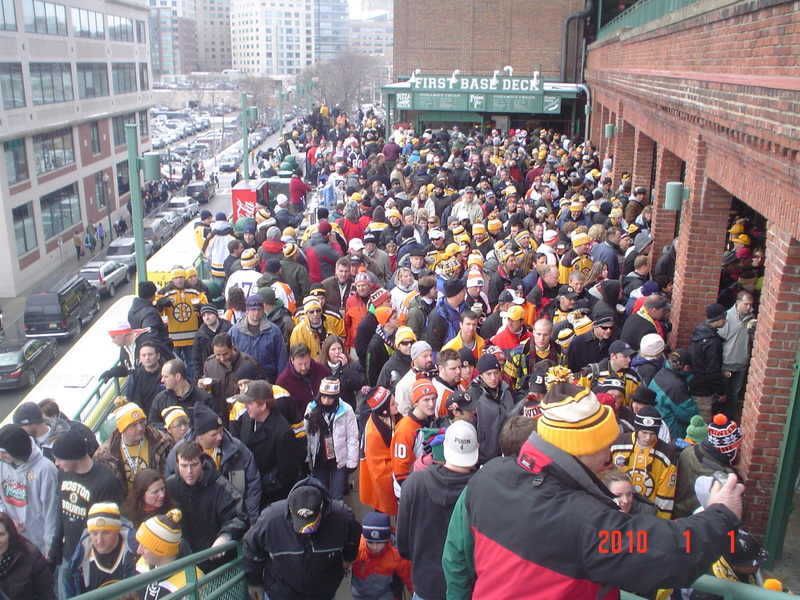 Yawkey Way, and all the streets surrounding Boston’s Fenway Park, were painted in blotches of black and gold – with a smattering of orange from a good number of bold Flyer fans. But no matter what colors you were wearing, there was an air of anticipation that hockey fans were about to see something special. 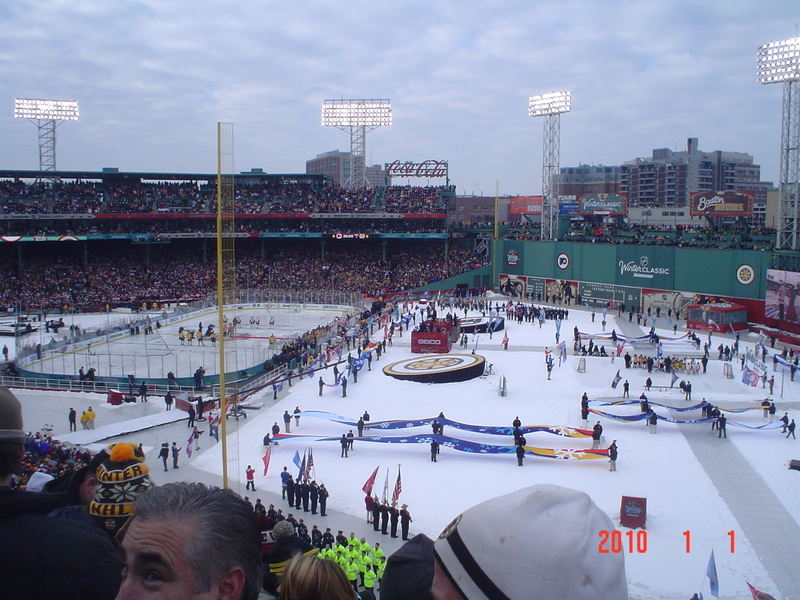 Boston was a hockey town on this day, and you’ll find little argument to the contrary from any Boston sports fan. I got into my seats in the right field roof deck for a pretty cool view of the on-field festivities. Prep work on the main ice surface was overshadowed by the Pee-wee hockey game in right-center field. Helicopters hovered overhead as Flyers fans around me debated whether or not Daniel Carcillo would get into the first fight in Winter Classic history (he did). At 4:42 of the second period, Tim Thomas lost his composure and left his crease to cross-check perennial pest Scott Hartnell. Only problem was Flyers defenseman Danny Syvret put a shot on net at that moment, and the Flyers had a 1-0 lead. 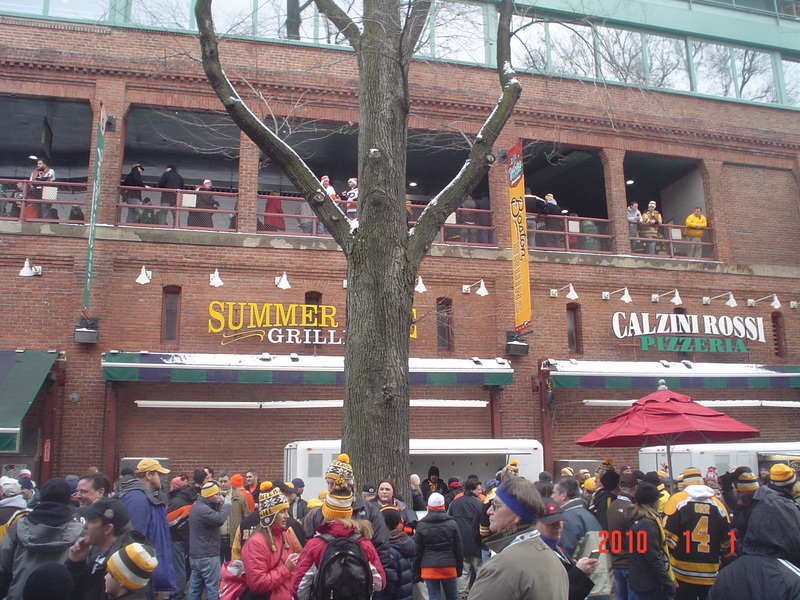 The second period flowed into the third, and Flyers goalie Michael Leighton continued to stone the Bruins – it appeared that Thomas would be the goat of the 2010 Winter Classic. 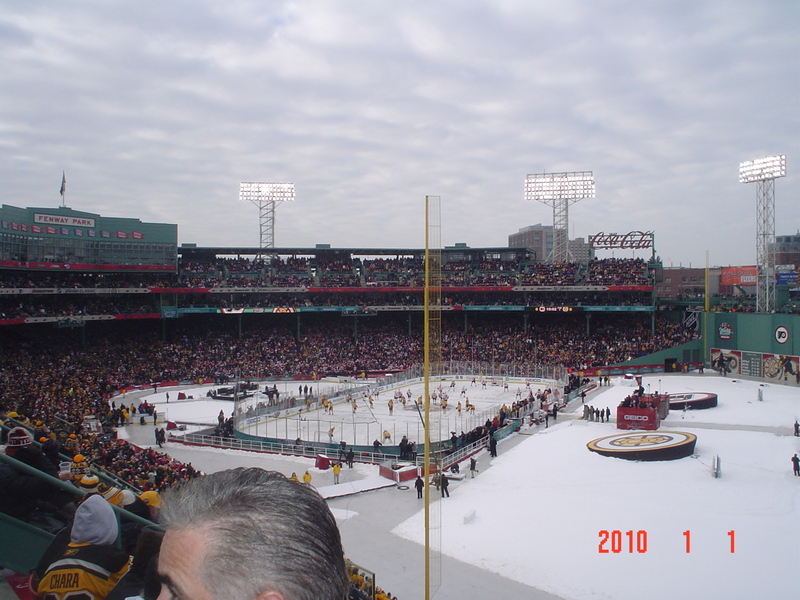 As the clock hit five minutes left in the third, I started to get a sick feeling in my stomach that this long-awaited Winter Classic may come and go without anyone ever knowing what the Bruins crowd would sound like in Fenway after the Bruins scored a goal. 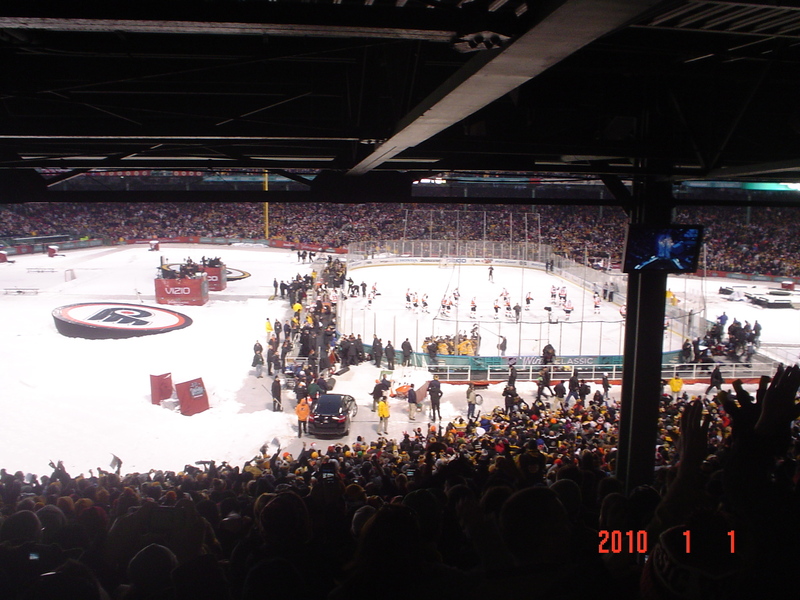 But with the Bruins on a power play late in the third, Mark Recchi tipped home a Derek Morris shot to tie the score at one, and the Fenway crowd exploded like an underwear bomb with 2:18 remaining in regulation. 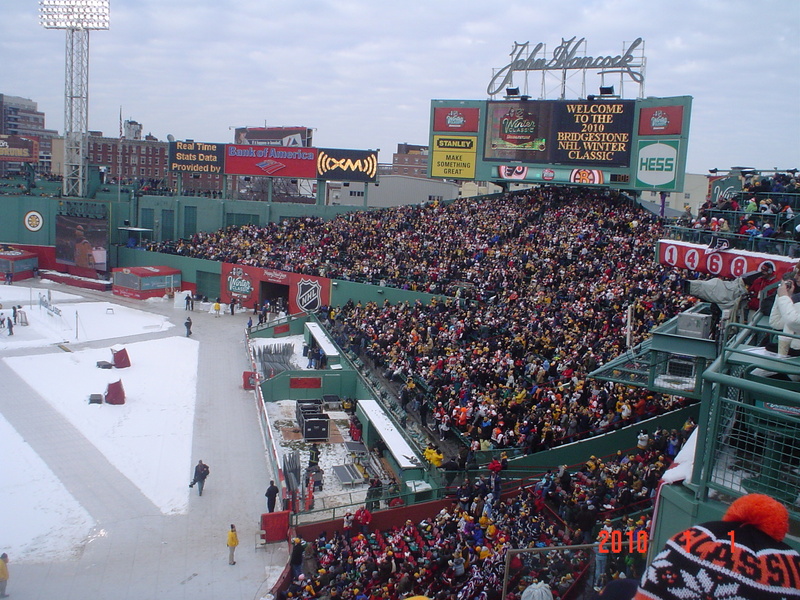 In the OT period, Marco Sturm completed the Bruins’ Winter Classic comeback when he deflected home a Patrice Bergeron shot 1:57 into the overtime period. The Bruins had an improbable 2-1 victory, and Bruins fans spilled out into the streets surrounding Fenway in a state of nirvana. The work of Tim Thomas in OT cannot be overlooked – the Bruins could have easily lost this game several times if not for Thomas. And after the game, Thomas found out he had been named the 2010 U.S. Olympic team. 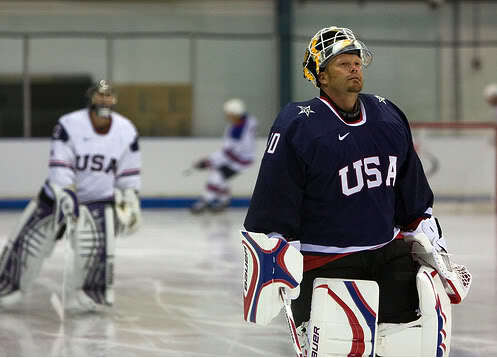 So instead of being the scapegoat du jour, Tim Thomas had a day that most professional athletes can only dream of. 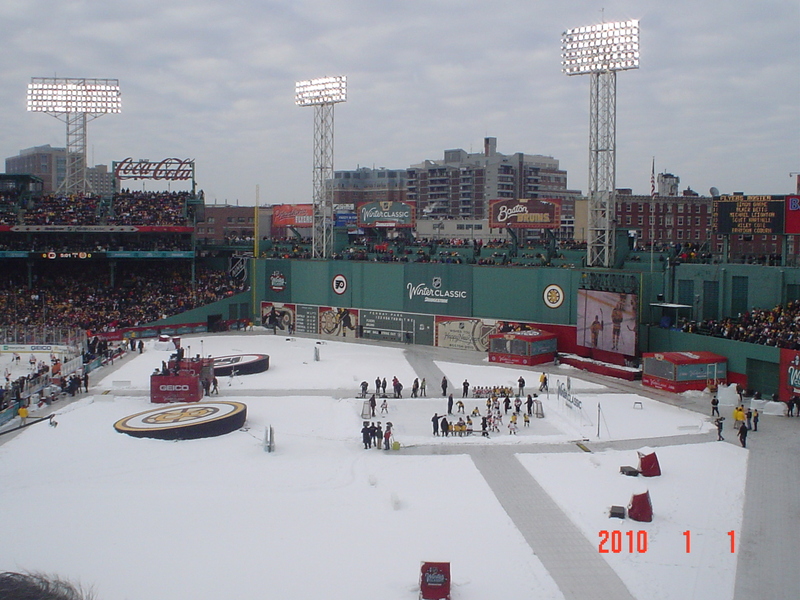 No matter how you slice it, the 2010 Winter Classic was an unqualified success. Sure, it’s been a long 37.5 years since the Bruins last drank from Lord Stanley’s chalice. 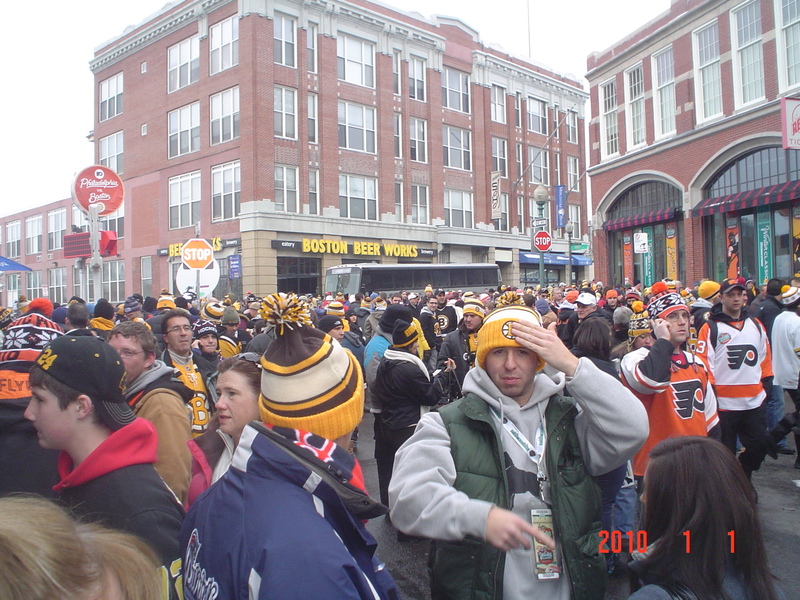 But the 2010 Winter Classic only made the Bruins fans more anxious for their team to slake that thirst once again. 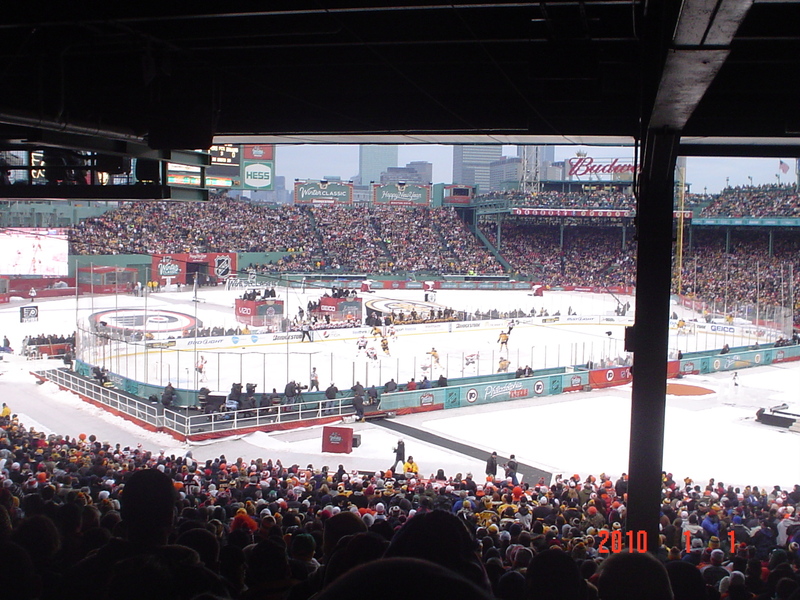 This entry was posted on January 3, 2010 at 1:59 pm and is filed under Boston Bruins, Hockey, Music, Travel and Nature with tags Bobby Orr, Boston Bruins, Brass Bonanza, Dan Carcillo, Dirty Water, Dropkick Murphys, Fenway Park, Marco Sturm, Mark Recchi, Philadelphia Flyers, Shawn Thornton, Stealth Bomber, Tim Thomas, Winter Classic. You can follow any responses to this entry through the RSS 2.0 feed. You can leave a response, or trackback from your own site.